THANK YOU FOR THE SUPPORT DURING 2016! I HAVE IMPROVED A LOT AND AIM TO IMPROVE EVEN MORE THE NEXT YEAR! 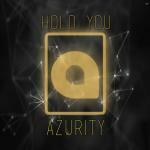 TO THANK YOU FOR YOUR SUPPORT - HERE IS "HOLD YOU" AS A FREE DOWNLOAD!